Hi there, Team EvolveAR has got your back! 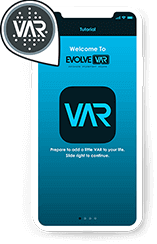 Get the most out of EvolveAR right now! We’re thrilled to hear from you. Our inbox can’t wait to get your messages, so talk to us any time you like. One of our customer happiness members will be getting back to you shortly.